Add smiles to school supplies! Secure belongings with this zippered plastic pencil case. 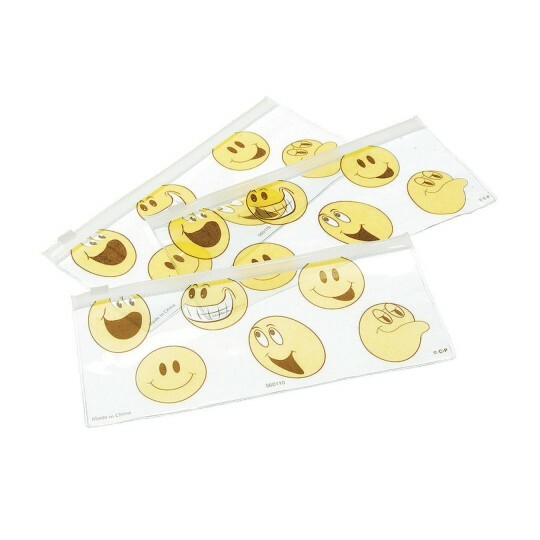 This smiley design pencil case is a fun addition to any school supply list. Measures 8-3/4”L x 3-3/4”W.